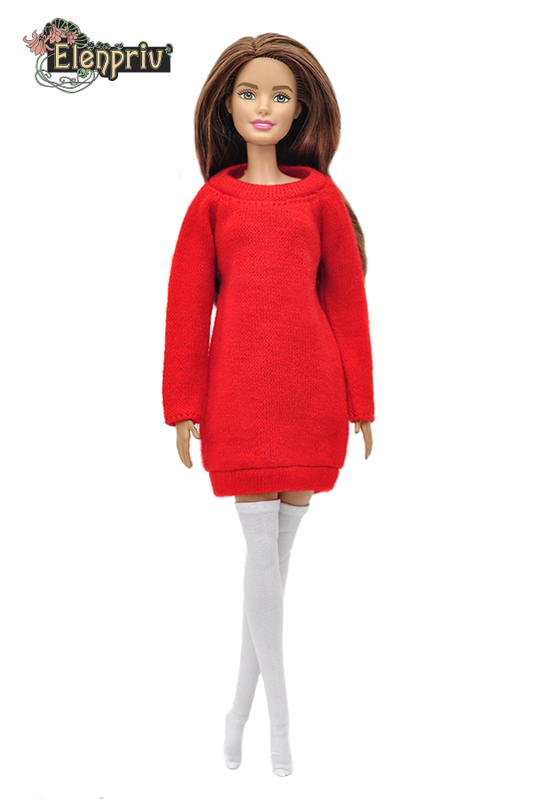 Bright red sweater-dress + white stockings 2-piece full outfit for Barbie Pivotal, Made-to-Move and similar size dolls. Stockings can be worn as socks as well. 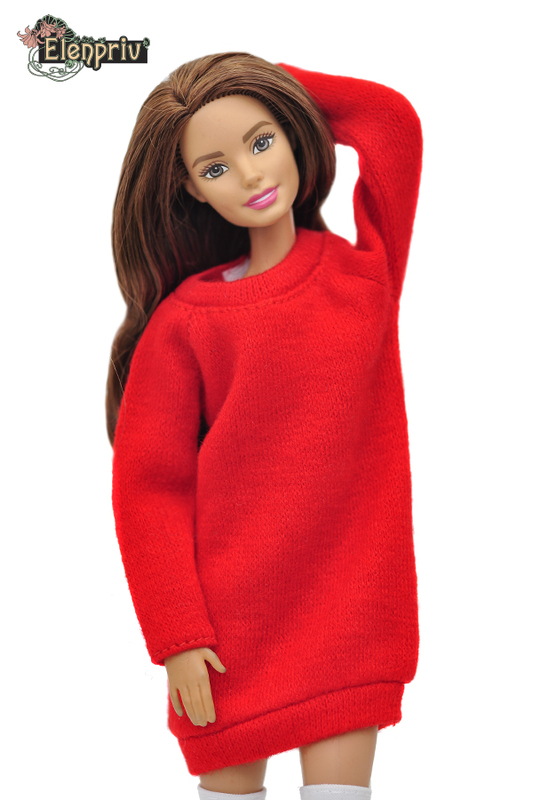 Dress fits fine Barbie Curvy. Materials: polyester for the dress, fastens with a velcro; polyester for stockings. 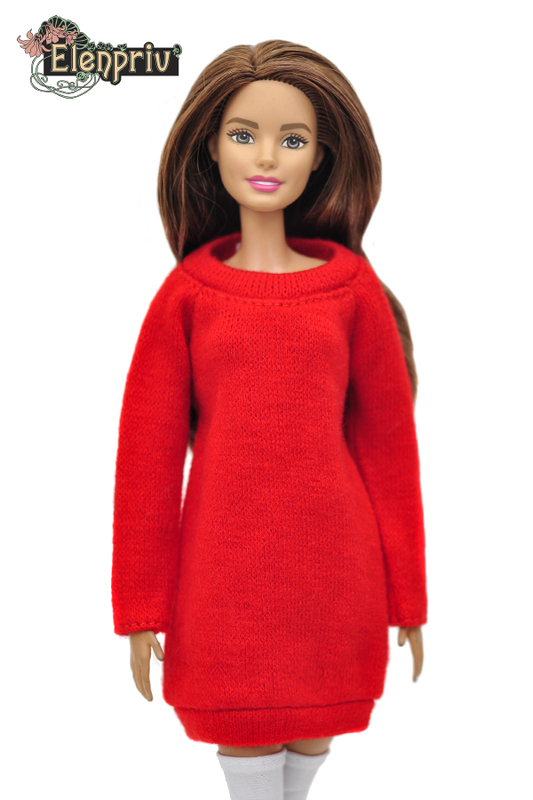 Bright red sweater-dress + white stockings 2-piece full outfit ONLY!!! Doll, shoes, glasses, bijouterie and diorama are not included.